Struggling to generate new leads for your business? It might be time to look in a new place: social media. In today’s selling market, the best places to find leads are shifting away from traditional channels. Instead, it’s in the social media arena where you can achieve your biggest growth. Social media can provide engaged leads eager to buy—but only if you know how to start with effective outreach. Today, you’ll learn the strategies behind effective lead generation on social media. We’ll explore both paid and unpaid strategies to find high-quality buyers—mostly in the B2B space, but with techniques that can also work wonders if you’re selling B2C. Let’s start by exploring why social media is the secret to great leads. 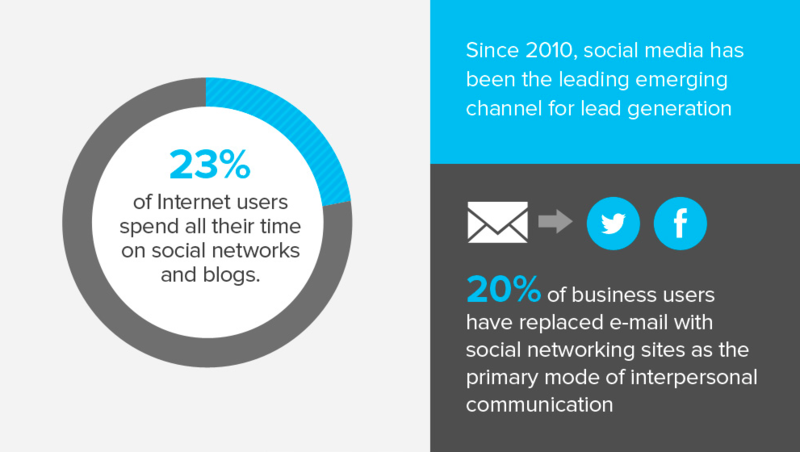 To start off, social media users are more engaged with their networks than many other platforms, including email. In fact, 20% of business users have replaced email with social media as their primary communication method—and 23% of internet users spend almost all their time on social media and blogs. In addition to social media’s prominent place in the worlds of your users, it also has targeting and contact information built in. Unlike emails, which lack location precision or contextual data, platforms like Facebook and LinkedIn let you initiate contact with prospects based on highly specific criteria. 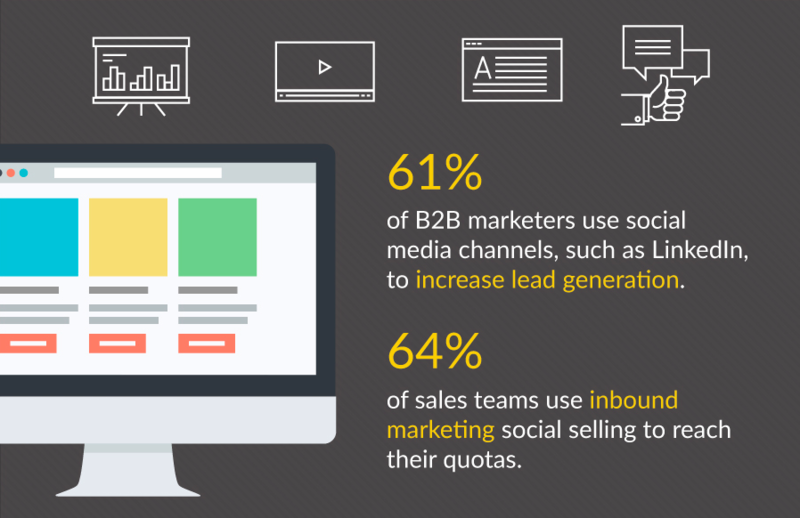 That’s probably why, according to Sales for Life, 61% of B2B marketers use social media to increase lead generation. So, what are the most effective ways to reach out to prospects and find new buyers? Social media lead generation strategies include both free and paid techniques. Let’s look at both. The first strategy is to share links to content. Content is one of the most important parts of the buying cycle. Sixty-five percent of buyers feel that content has an impact on purchase decisions, according to HubSpot. So if you aren’t producing content to bring leads into a sale with you, you’re missing out. A great way to grow your email list is with links to gated content—that is, content that requires a signup first. It’s been estimated that up to 80% of B2B content marketing assets are gated. A great example of gating done correctly is this report from Braze on mobile marketing. To see the information, you need to fill out a multi-part lead form. This is a bit longer than some that only require an email (and because of that, likely converts fewer leads than a simpler form), but is a great example of gated content nonetheless. You can (and should) gate content like white papers, reports, videos, and research. 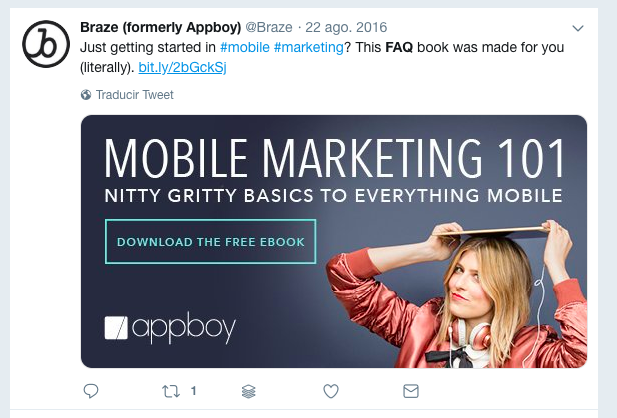 You can then share links to these pages on social media, as Braze did with their mobile marketing FAQs. But creating this content will help with more than just getting leads. You’ll also provide content that helps bring those prospects to purchase decisions. 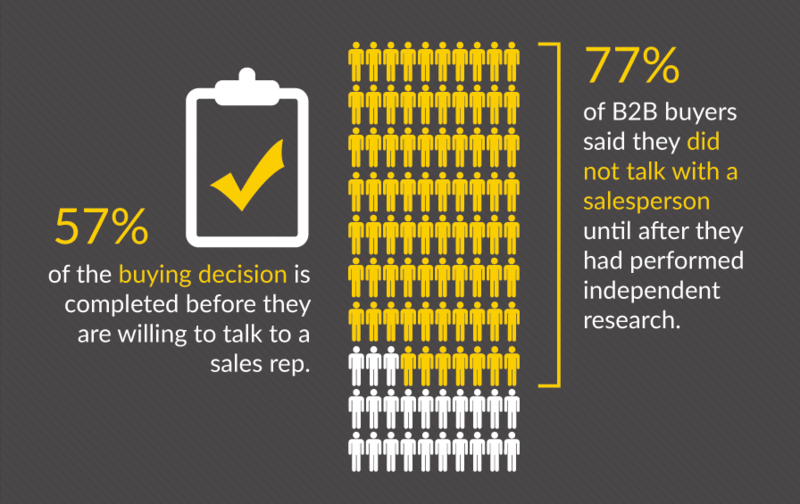 According to Sales for Life, 77% of B2B buyers did independent research before talking to a salesperson. This type of content can help bridge the knowledge gap between prospects and buyers. If you already have content like this, you can go ahead and provide a gate to it as-is. If you don’t have a content bank yet, start creating it. You’ll want to find pressing problems that your prospects are facing and create high-quality answers to those problems. The best types of reports involve original research and actionable suggestions. If you’re frustrated with the number or quality of the leads you’re getting, it might be time to ramp up your strategy. You can start implementing a paid strategy for even more consistent lead generation. There are lead generation strategies on nearly every platform nowadays, so your choice of strategy should depend mostly on where your audience is. If you’re in the B2C space, you should probably start with Facebook. 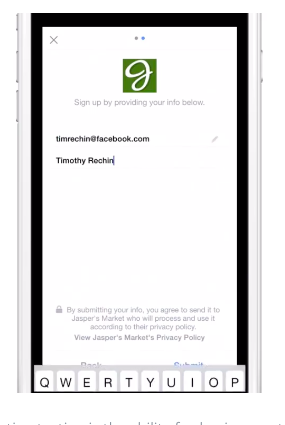 Facebook’s lead ads allow prospects to send you their contact information with just a few taps. 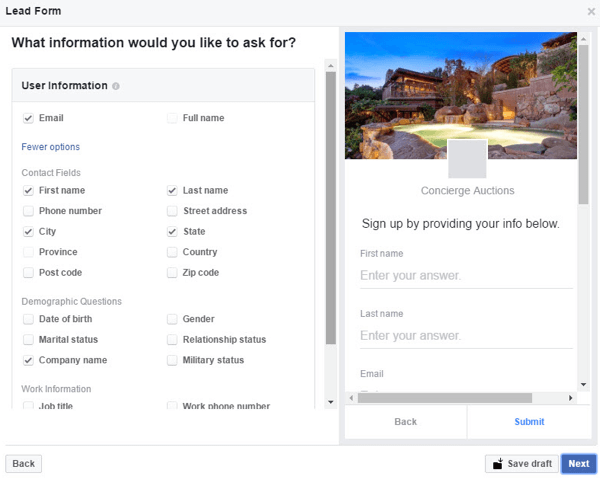 Facebook automatically populates with their information and all the prospect needs to do is confirm the submission. Since Facebook owns Instagram, they’ve implemented the same type of ad on that platform, too. Instagram lead ads are nearly identical to those on Facebook—you can choose the information to ask for. Once again, this works best with B2C products. A while back, you could also use similar lead-generation cards on Twitter. However, in late 2016, Twitter announced they’d phase out this type of ad. Thankfully, this isn’t a deal breaker. In fact, experts such as Larry Kim of WordStream recommended against using Twitter lead generation cards anyways. 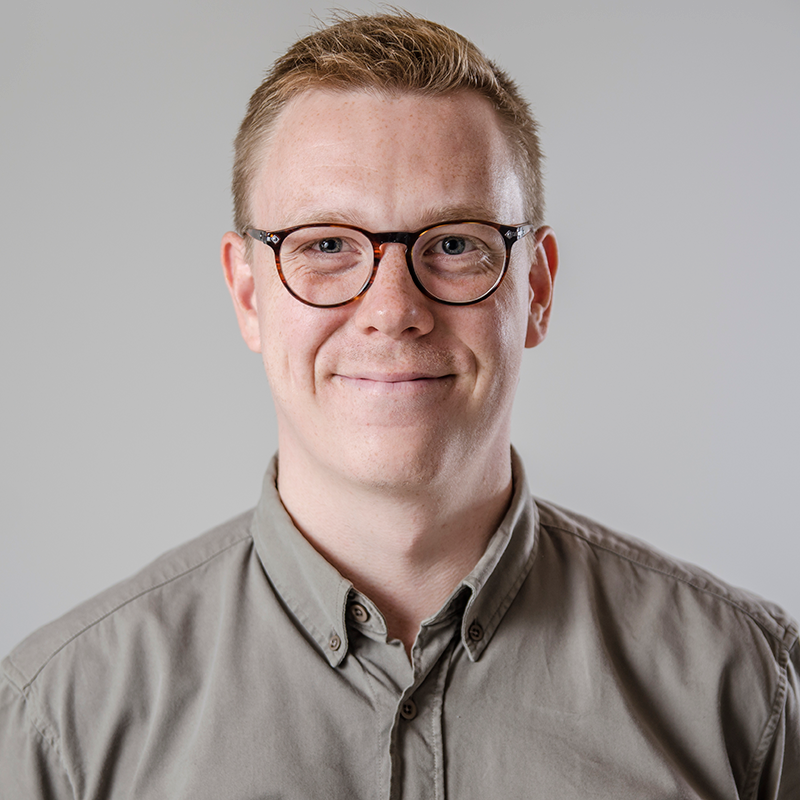 He argued that these lead-focused ads tended not to get a very good return on investment, and instead recommended avoiding the “ad” look at all, instead using simple, eye-catching images resembling organic content. 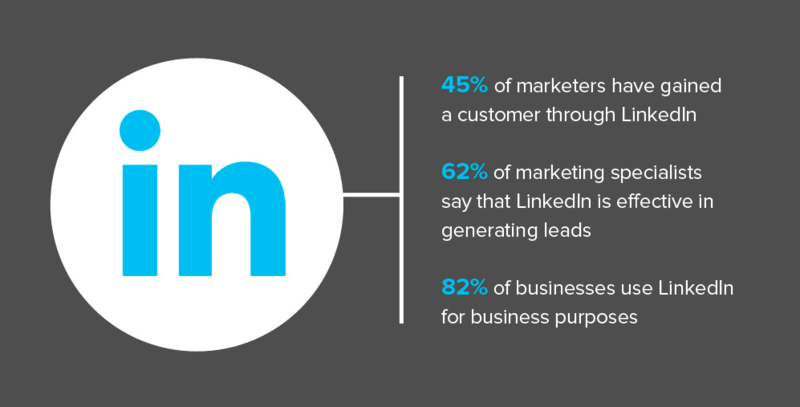 Finally, let’s talk about the best source of leads for B2B sales: LinkedIn. According to QuickSprout, 45% of marketers have gained a customer through the platform. 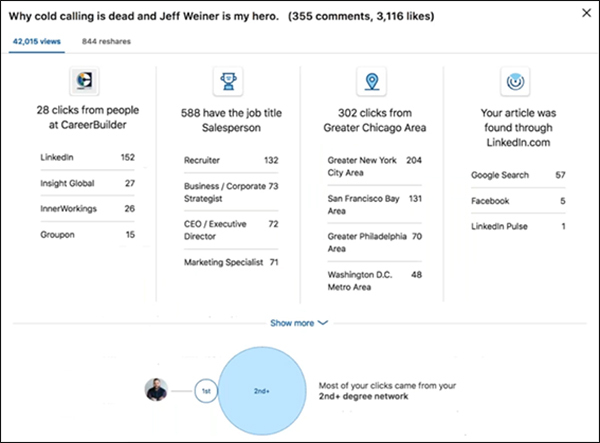 If you’re looking for high-qualified B2B leads, LinkedIn is the best place to go. You have a few options when it comes to paid ads on LinkedIn. First, you can sponsor content. This is similar to a sponsored post on Twitter, Facebook, or Instagram. Next, you can send sponsored InMail messages straight to a prospect’s inbox. And finally, you can sponsor text ads—similar to a standard text ad on a website. Like Facebook’s lead ads, LinkedIn has Lead Gen Form ads which auto-populate with the contact’s information. They’re not available for text ads, but if you’re planning on using sponsored content or sponsored InMail, you should give this format a try. Like Facebook leads, these allow a prospect to quickly give his or her information to you. But with LinkedIn’s focus on business and professionals, you’ll get higher-quality leads. The next strategy to generate leads through social media is through live events. This doesn’t mean conferences or in-person meetups, but content generated in-the-moment online. 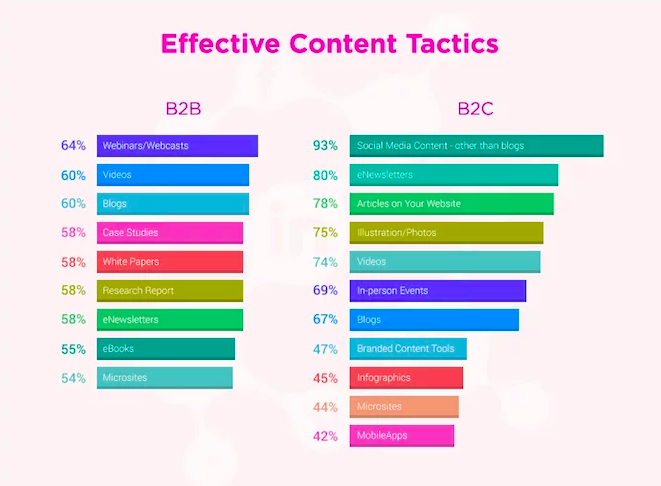 According to HubSpot, webinars and webcasts are the single most effective content tactic for B2B marketers, beating out blogs, case studies, and research reports. The most basic version of an event of this type is a webinar. These are typically held live (but can also be recorded and replayed later). Here’s an example of a webinar lead generation page from Neil Patel. You will, of course, need to set this up on your own site, but you can use social media to draw in leads to promote it. By sharing it on social media, you can expand your reach and start generating more leads by leveraging your existing social connections. A simple post to the webinar registration page works fine. 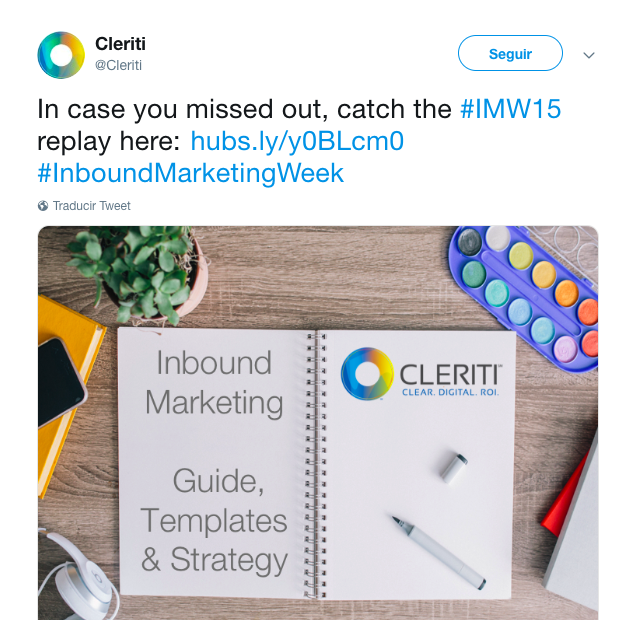 Here’s how Cleriti promotes their webinar on Twitter. 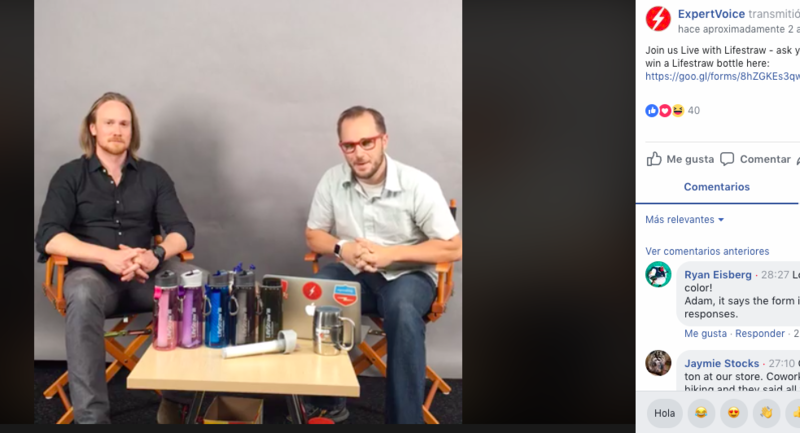 If you’d rather try out a live event with a more native-friendly feel, you can host an FAQ or presentation on Facebook Live. While most of the activity on Facebook Live is B2C, there are still huge opportunities for drawing in B2B leads. ExpertVoice, for example, hosts Facebook Live chats and interviews. The audience engagement keeps their brand strong and they view Facebook Live as a platform for lead generation. Finally, you can host a live tweet chat. These posit you as an influencer in the industry and give a strong impression of your brand. For example, SEMRush features #semrushchat, driving people to converse about SEO and their brand on a regular basis. But be warned—this is more of a long-term strategy. 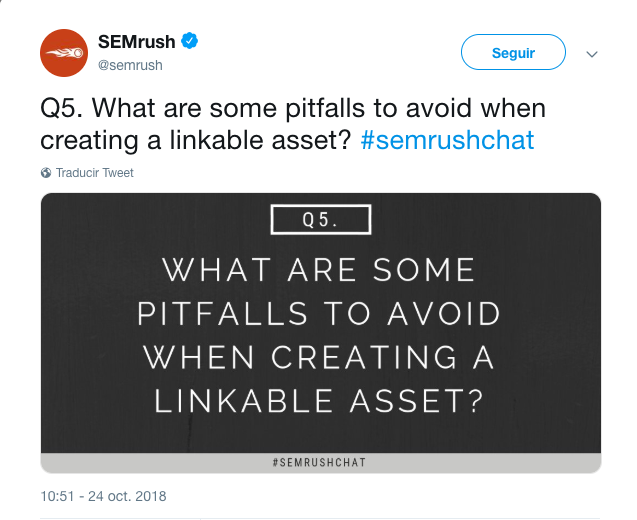 SEMRush builds credibility in the eyes of their prospects that bring in buyers later on, but likely doesn’t generate leads each #semrushchat. If you’re willing to spend some money to generate more leads through social media, you can use a referral campaign. To make this work, you’ll need to encourage customers to share on social media, track new signups through their referral link, and compensate referrers. It can be a lot to manage yourself, so to speed up the process you’ll find a lot of use in an automatic program to handle the details for you. A great system for this is LeadDyno, which will handle affiliate payouts and will even provide affiliates with social media messages you’ve crafted for them. Finally, you can use a new philosophy to maximize your leads—social selling. Social selling isn’t quite like the other recommendations. It’s not a technique or strategy—it’s a different way to think about selling. Instead of using cold pitching and leads, it’s a sales process built on relationships and education. But it’s not just a theory or a fad. While it’s a relatively new mindset, research and numbers show that it’s highly effective at generating high-quality leads on social media. 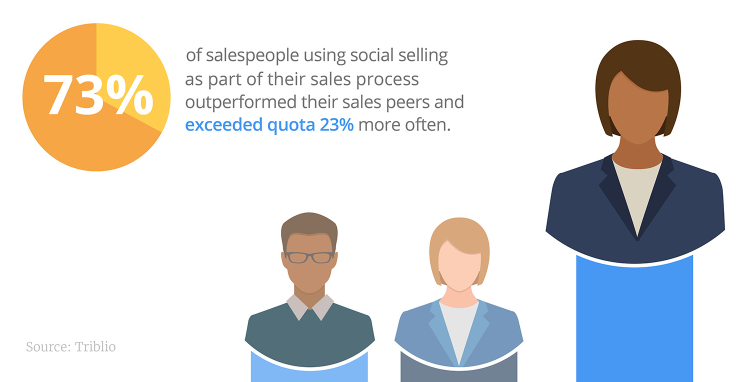 According to PostBeyond, 73% of salespeople who use social selling outperformed their peers and exceeded their sales quota 23% more often. 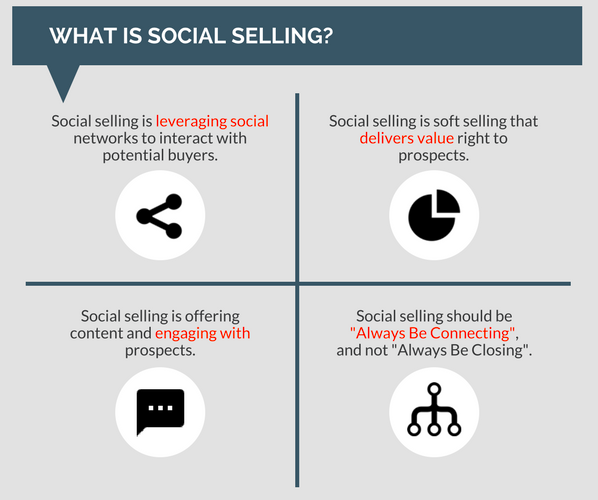 So, how does social selling work? It’s built around a few main principles: leverage social connections, deliver value and engage with prospects. While you could use social selling in real life in a variety of settings, we’re going to focus on the digital realm. What does it look like for social media? Well, the first step is to get your profiles set up. You’ll want to build out a credible social media profile that shows you’re an expert—but also trustworthy and willing to provide an honest and valuable perspective. LinkedIn’s professional focus provides the most opportunities for this. 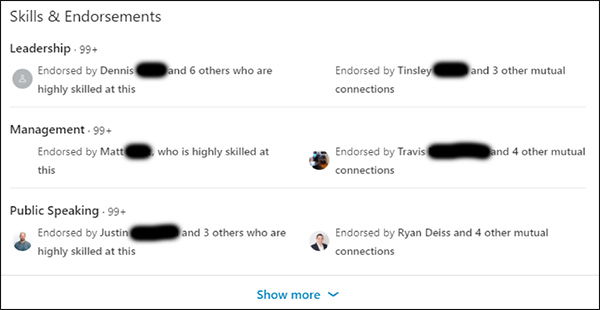 To build out your LinkedIn profile, Marcus Murphy at Digital Marketer recommends getting endorsements for your skills, ideally the 99+ maximum that LinkedIn will display. You’ll also want to develop a communication plan that revolves around your audience and their wants, needs, and problems. Murphy recommends writing and sharing great content. You can then look at the analysis behind your posts to see who’s engaging and what type of people are interacting with your content. It’s a good way to start finding prospects you can then reach out to. 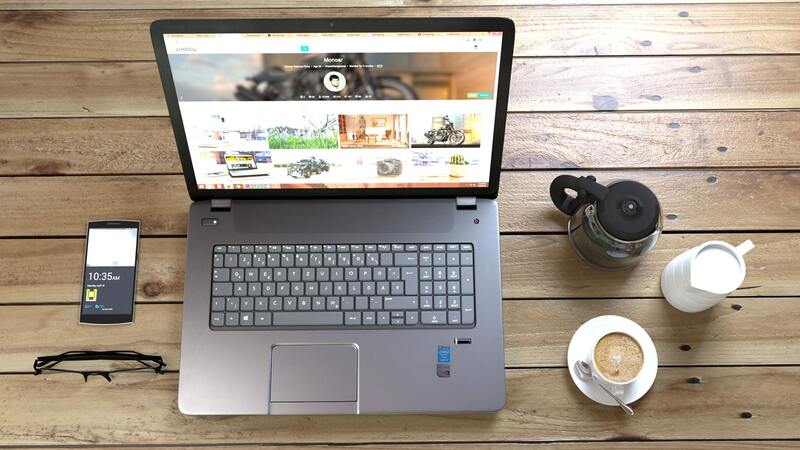 Once you have a credible profile and people engaging with your content, you can start finding prospects to connect with. Share great content, provide value, and build relationships. One of the best ways to do this is by contacting a prospect, engaging them and building a relationship—and only then moving the conversation offline. This type of outreach is most effective at driving quality leads and building up your sales platform on social media. You can’t ignore social media when it comes to generating leads and sales. Social networks like Facebook, Twitter, and LinkedIn are swarming with prospects eager to buy from you—if you know how to find them. Now, you’ve got a playbook for generating high-quality leads on social media. Start by looking at a mindset of social selling. Rather than just cold-pitching, work to provide value across different channels to those who are most interested in buying from you. Boost the awareness of your company or brand with resources, like white papers and reports. To generate leads from these works, offer gates that generate contact follow up methods. Promote the content you’ve created and your social media channels through paid advertising, live events, and even referrals if you like. Keep the focus on building up relationships before the sale. With a solid social media lead strategy, you’ll tap into a highly effective pool of prospects that can change the face of your business forever.